I love it. 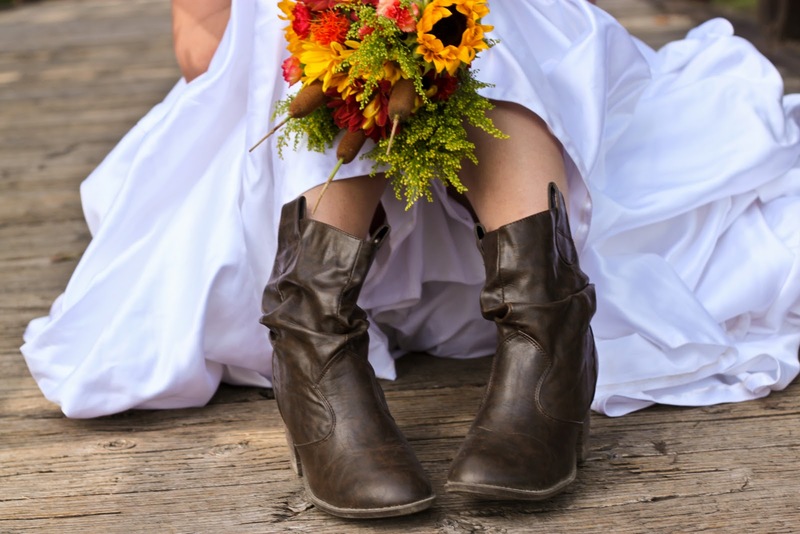 I love that she is wearing cowboy boots for her special day. I just love it. I always dreamed of a fall wedding, but alas I got engaged October 12th and wasn't about to plan a wedding in less than a month. So January had to do. And I am ok with that. There are so many more pictures that are just wonderful. I can hardly wait to share more of the fun! Gorgeous! I'm excited to see the rest! very cute! excited for the rest too!